In 1968, five years after the Rev. 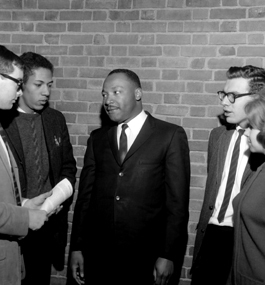 Dr. Martin Luther King Jr.’s last visit to Brandeis, the civil rights leader was slain, galvanizing students nationwide into action. Brandeis protesters took over Ford Hall in January 1969, demanding a more inclusive university and the creation of a black studies department. Chad Williams, chair of the Department of African and African-American Studies, explores the history and legacy of the Ford Hall takeover on page 14. 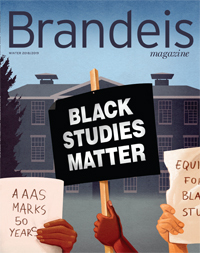 Brandeis will celebrate 50 years of African and African-American studies in a two-day public commemoration, including a keynote address by Angela Davis ’65 and Julieanna Richardson ’76, H’16, on Feb. 8-9, 2019. Visit www.brandeis.edu/aaas/50th/schedule.html for more information.